Start with an unloaded Instore Gift Card. Order Instore gift cards here. On the Bill Screen, Swipe the Card, then either search for an existing customer account or + Add new customer to your Instore database. After identifying/creating the customer record you want, click Add to card to associate them with the new Rewards Card. Remind the customer that they can receive double points if they load the card with a balance and pay with it going forward. 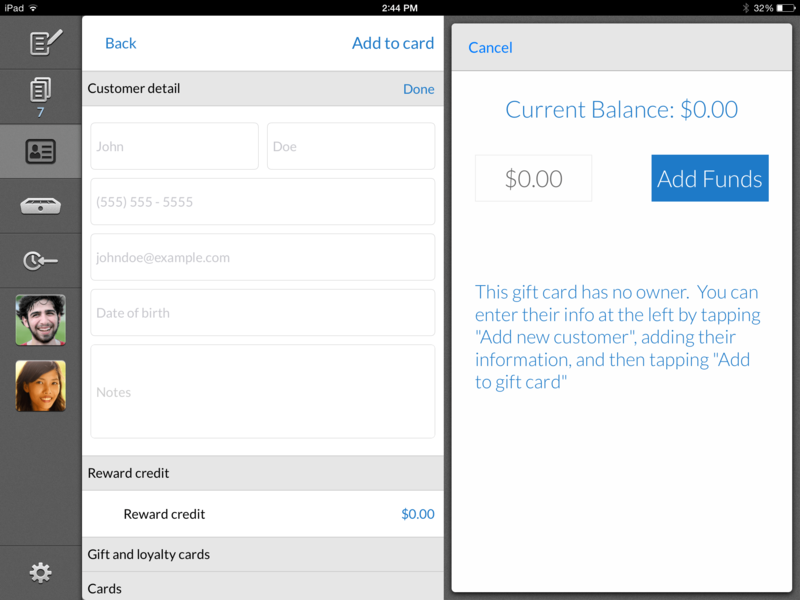 Your customer record will list the Rewards card going forward under “Gift and loyalty cards”. When presented with the card on a future visit, swipe the card while on the Bill screen then click Add to order to associate the customer with the current order for Rewards purposes.